Rolling out a new series…. 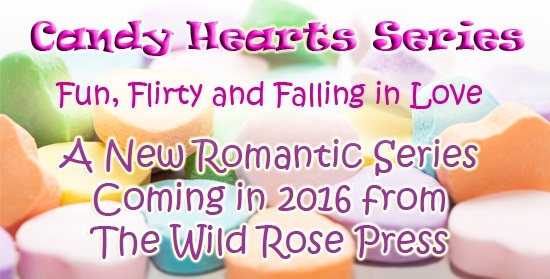 The CANDY HEARTS SERIES, named after those tiny, sugary Valentine’s Day treats, is a multi-author collection of unrelated stories rolling out from THE WILD ROSE PRESS throughout January and February. Releasing on Mondays and Wednesdays, I will be allocating one day for each of the new releases. Check back here for covers, blurbs, excerpts and buy links. And finally, to make things even sweeter, THE WILD ROSE PRESS is having a rafflecopter draw for a KINDLE FIRE. This entry was posted in Candy Hearts Series, Charlotte Copper, Wild Rose Press by Charlotte Copper. Bookmark the permalink.